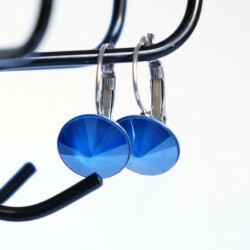 If you like bright colours, you’re sure to be charmed by this eye-catching pair of blue Swarovski crystal drop earrings. 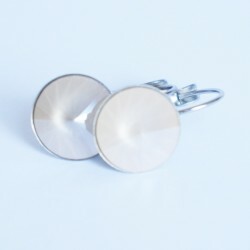 With a diameter of just 13 mm, these fashion earrings are easy to wear. 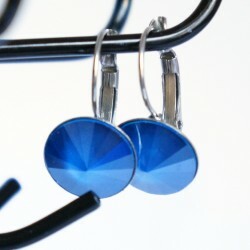 The blue colour cabochons will make a real fashion statement. 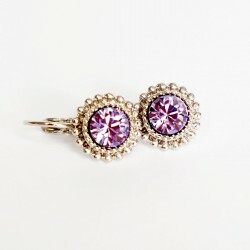 They are from the Spring/Summer 2018 Swarovski collection. This piece is hand-assembled carefully by us. 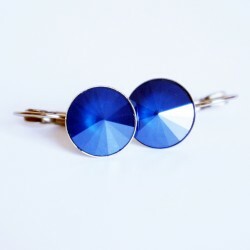 With a diameter of 13 mm, these blue earrings are very easy to wear. 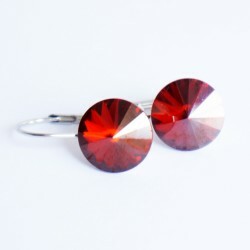 These drop earrings will suit blonds, brunettes and red heads! 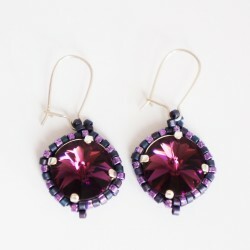 These gorgeous earrings reveal their full sparkle under the light, as the cabochons are made from Swarovski crystal. These earrings, featuring crystals from the 2017 Swarovski Spring/Summer collection, reveal bright blue sparkles in the light. 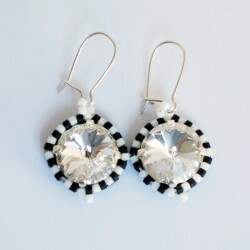 The total length of these earrings is 2.4 cm. 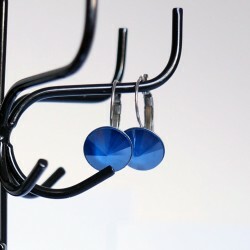 These earrings are hand-assembled in our workshop in Belgium. We have taken the utmost care when creating this piece. 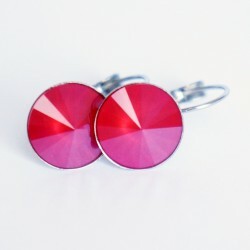 Many colours are available on the website : red, green, pink, grey and white. There’s something for everyone! 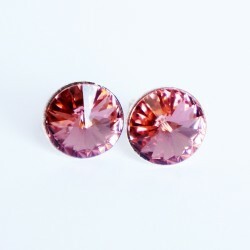 Whether you want to treat yourself or are looking for the perfect gift, don’t miss these beautiful earrings. 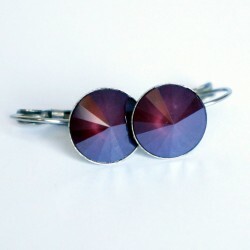 Also available in other colours upon request. 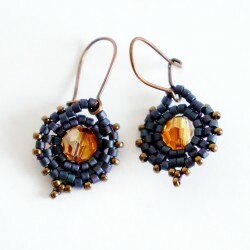 How are these earrings made? 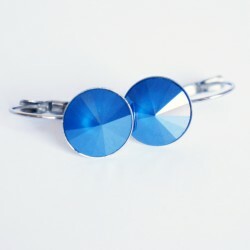 12 mm-diameter, round, blue Swarovski crystal rivoli cabochons. 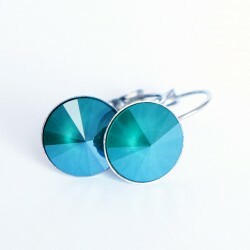 The total diameter of these earrings is 13 mm. The total length is 2.4 cm.